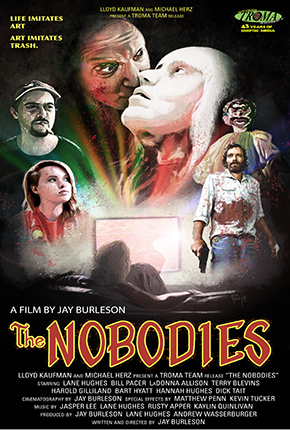 Starring Lane Hughes (You’re Next, V/H/S), Danny Vinson (Eastbound & Down, The Walking Dead), and Hannah Hughes (V/H/S 2) THE NOBODIES is a genre bending roller coaster ride into madness! 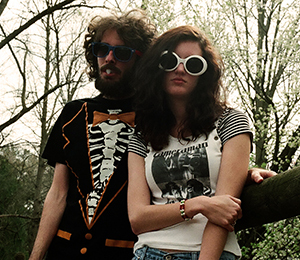 In 1993, Alabama based amateur filmmaker Warren Werner shot his first feature film, Pumpkin, on VHS. With a budget of only $600, a cast of friends, family, and unknown talent, the movie premiered at the local civic center and generated an immediate backlash from the community. Rumors that Warren and his girlfriend Samantha Dixon engaged in Satanic rituals began to spread throughout town. In the months following the premiere, Warren and Samantha committed suicide. 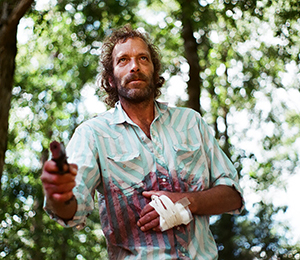 The following year, another group of filmmakers began shooting a documentary about the deaths of Warren and Samantha. 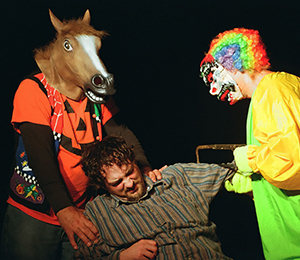 The documentary project was never completed, and Pumpkin was never released. THE NOBODIES is Warren Werner’s Pumpkin, in its entirety, cut together with the remaining documentary footage of the director’s life and death.